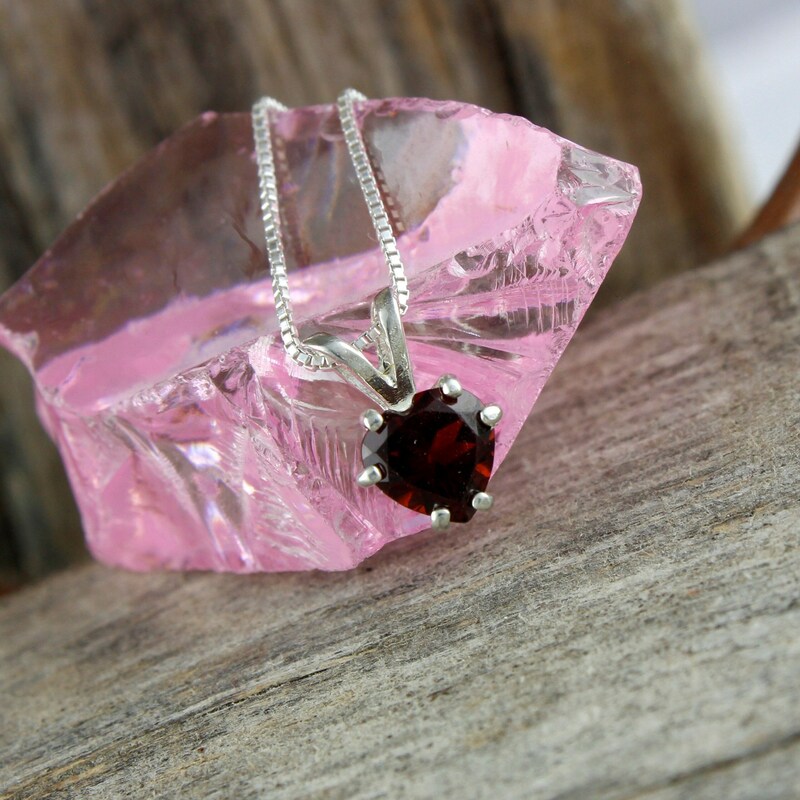 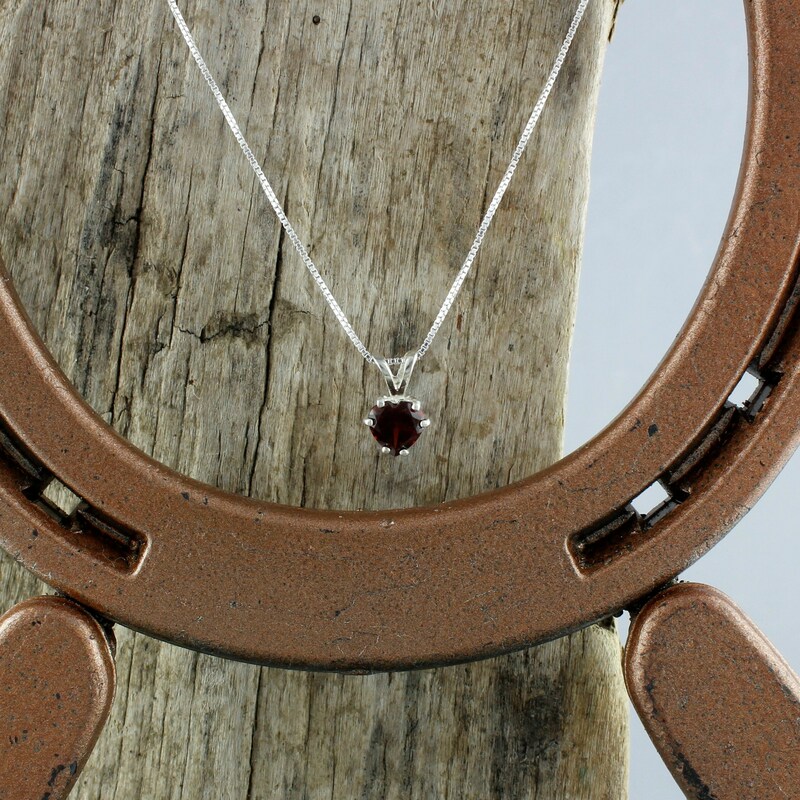 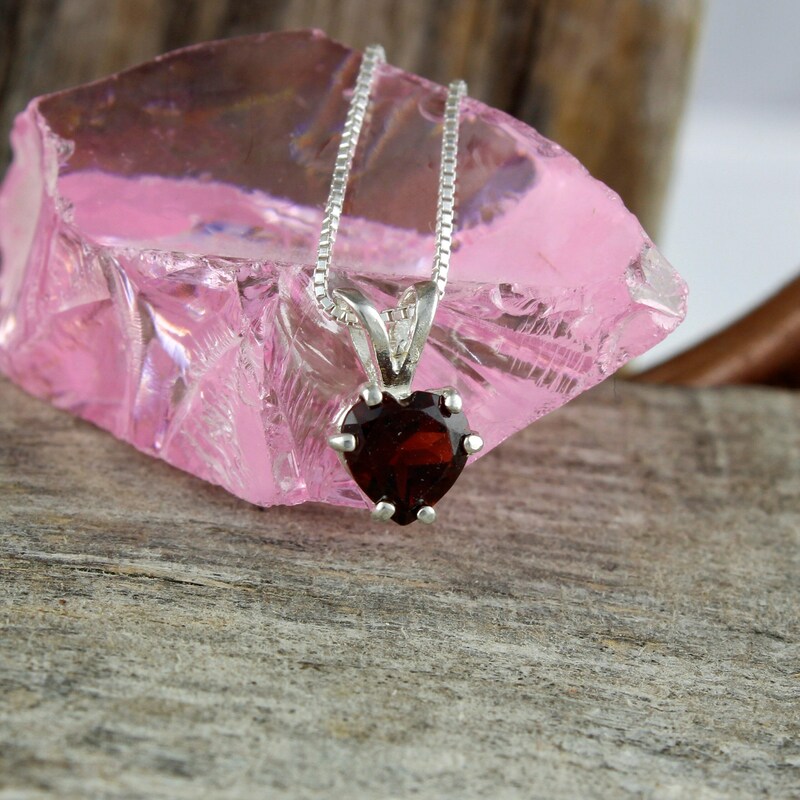 Natural Red Garnet Pendant - Sterling Silver Pendant Necklace - Red Garnet Pendant: This impressive sterling silver pendant features a natural Red Garnet Heart shaped stone. 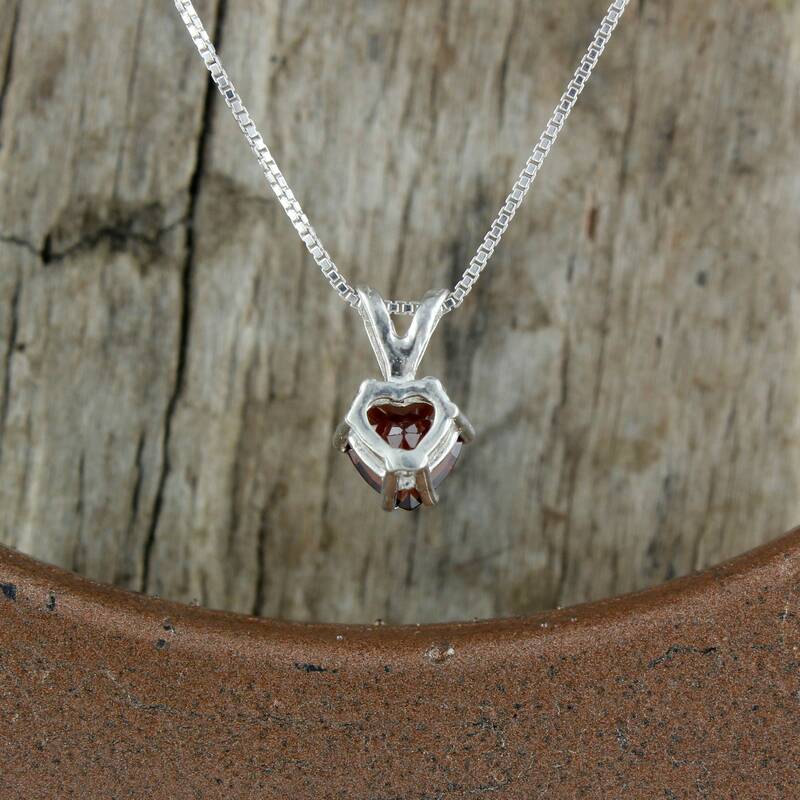 The Red Garnet Heart is 6mm (1/4") in diameter and weighs 1.0 cts.. 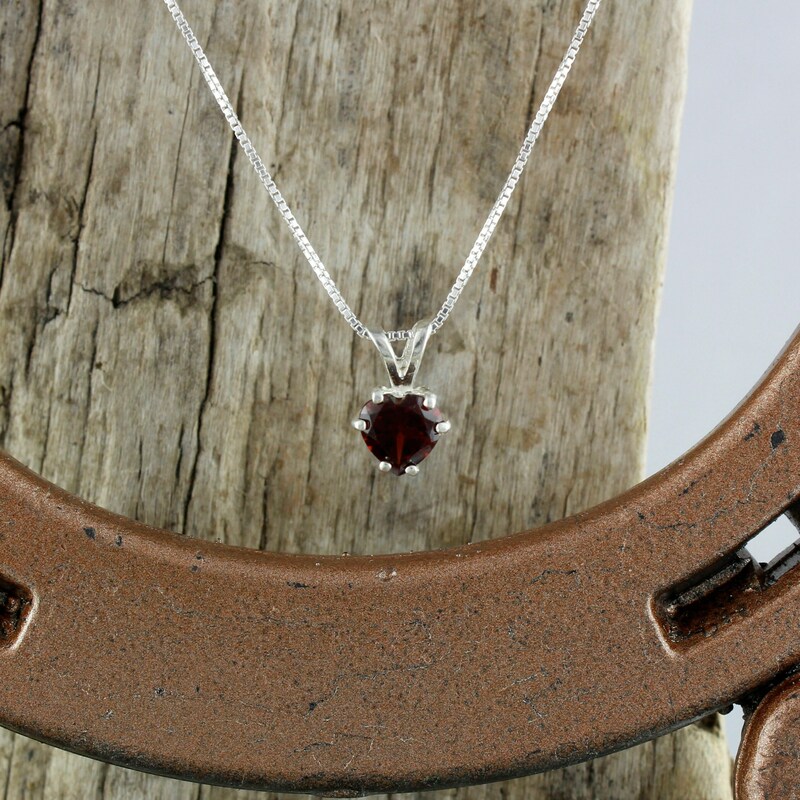 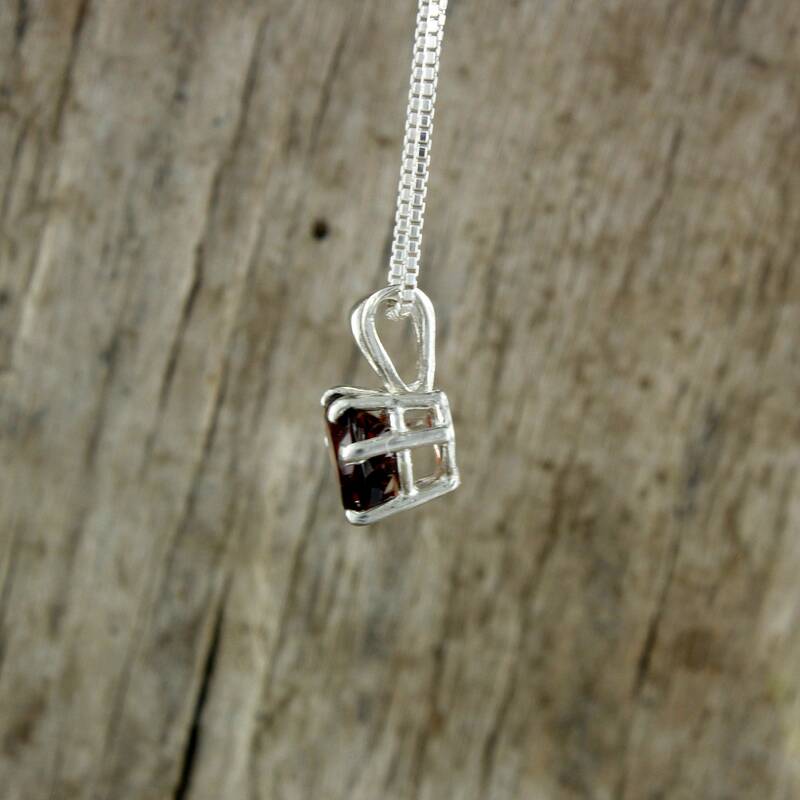 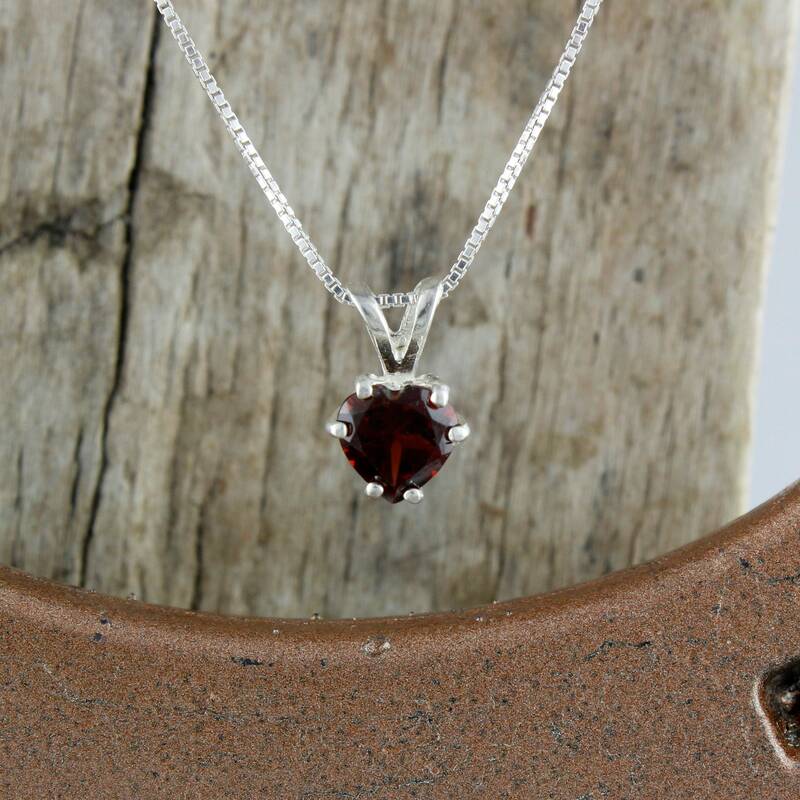 This stunning deep red stone is set in a sterling silver setting and suspended from the included, complimentary 18" sterling silver box chain. 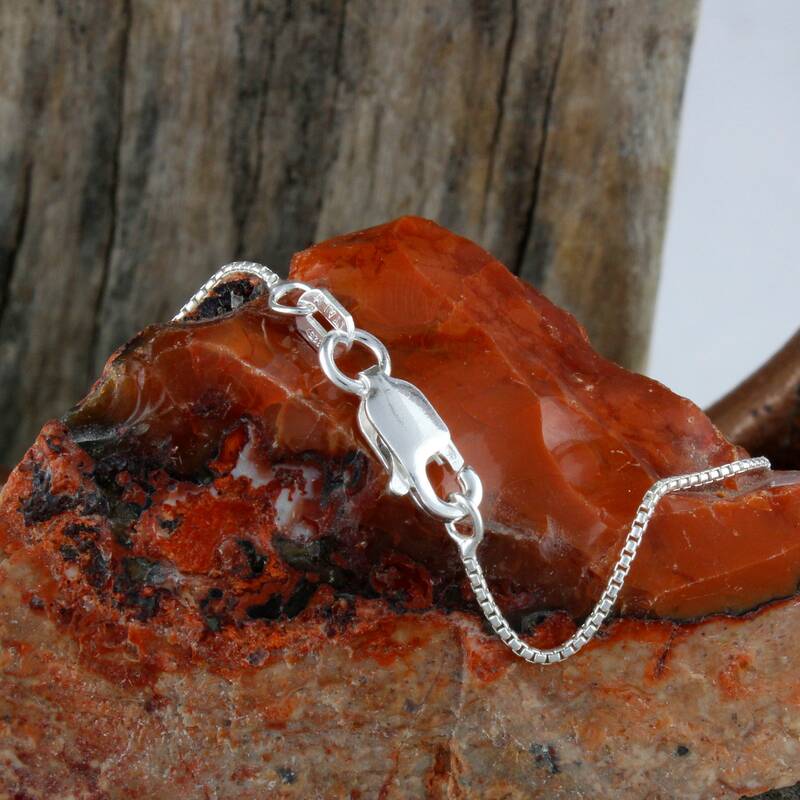 This is a gorgeous piece of jewelry at a very affordable price! 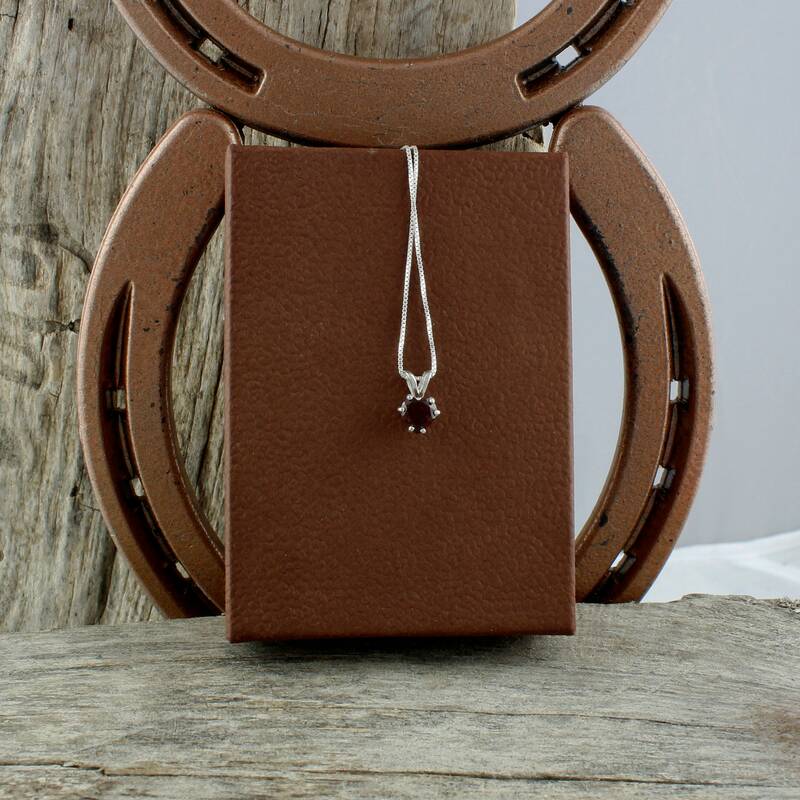 When paired with a matching pair of earrings it will make an exceptional gift for someone special! 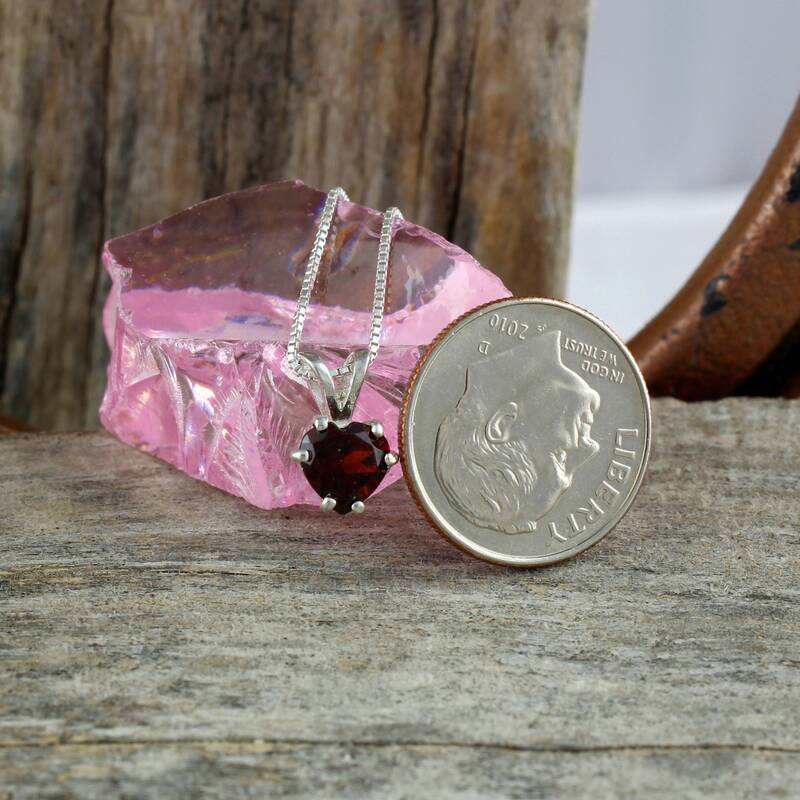 As with every pendant we sell we will ship your purchase in an elegant gift box for no extra charge!